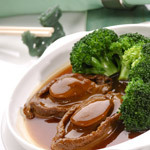 Chan's love for fine cuisine landed him in his first professional kitchen, Hong Kong's Flying Dragon, in his late teens. Honing his skills over many years since the Flying Dragon, Chan parlayed his skills into an impressive roster of achievements as well as lending his talents to the Hong Kong Hyatt Hotel Restaurant and Singapore's The Green Garden, to name a few. Chan's experiences in Singapore—hub of Asian multiculturalism—led him to recognize the exciting potential of cultural interchange. This paved the way for his move to Canada and likewise his move to the Kirin Restaurant Group in 1989. 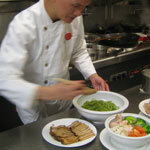 Chan is proud to bring the wonderful variety of Chinese cuisine to Canadians of every heritage. His specialties are seafood and abalone, two world-class dishes he prepares with particular grace. Copyright © 2019 Lysias Enterprises (Canada) Ltd.